3000 blk State Hwy 30 West – Unknown suspect took property without consent. 3000 blk State Hwy 19 – Assisted SO with a shooting call. 100 blk Samantha Lane – Dating couple involved in a verbal altercation. 2400 blk Sycamore Avenue – Dating couple involved in a verbal altercation. 100 blk I-45 S – Unknown suspect forged a check. 1400 blk 22nd Street – One vehicle struck another and fled the scene. 2600 blk El Toro – Known suspect entered residence and took property. Robinson Creek Pkwy @ I-45 S – Two vehicles, no injuries. 1500 blk 11th Street – Unknown suspect took unsecured vehicle without consent. 600 blk Palm Street – Dating couple were involved in a verbal dispute. 3000 blk State Hwy 30 – Michael Mitchell (WM 060390) was arrested for Theft Prop. <2500 with 2+ previous convictions SJF, Resisting arrest MA, and Evading arrest/detention MA. State Hwy 19 @ Old Colony Road – Dearia Hunter (BF 082894) was cited for possession of drug paraphernalia MC. 1500 blk Avenue O – Kevin Morgan (BM 111092) was cited for possession of drug paraphernalia MC. 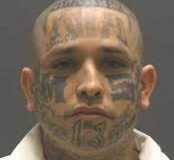 1100 blk Thomason Street – Johnny Moralez (WH/M 063092) was arrested for aggravated assault FV F2. 200 blk Boettcher Mill – Unknown suspect damaged victim property. 2200 blk Bobby K Marks Drive – A verbal dispue was reported. 1000 blk Pecan Drive – A verbal dispue was reported. 14th Street @ Avenue O – 1 vehicle vs building 1 transported to HMH. 2800 blk Sam Houston Avenue – 2 vehicles no injuries. 600 blk Avenue G – Christopher Ware 10/17/76 was arrested on criminal non support warrants. 300 blk Martin Luther King Jr Drive – Known suspect assaulted the victim causing bodily injury. 2000 blk Sam Houston Avenue – Kevin Harper DOB- 12/11/96 was arrested for Public Intoxication (MC). 2000 blk Sam Houston Avenue – Titus Lauderdale DOB- 08/01/93 was arested for Poss. Of Drug Paraphernalia (MC). 2500 blk Sam Houston Avenue – Ryan Gormey DOB- 10/18/95 was arrested for Public Intoxication (MC). 7th Street @ Avenue M – Kevin Smith DOB- 09/06/74 was issued a citation for Poss. Of Drug Paraphernalia. 2300 blk Sam Houston Avenue – Lynard Brown DOB- 11/03/81 was arrested for DWI (MB). 200 blk 16th Street – A verbal dispute was reported. Old Colony Road @ State Hwy 19 – Alicia Staton 1/25/87 was arrested for traffic offenses. 100 blk I-45 S – Unknown suspect(s) entered a building and took property without consent. 100 blk Medical Park Lane – Known suspect is stalking victim. 600 blk I-45 – A verbal dispute was reported. 100 blk I-45 – Known suspect took property without consent. 100 blk I-45 – Known suspect was issued a citation for theft. 2800 blk Lake Road – Two vehicles, 2 transported to HMH, 1 to Conroe Regional, 1 Life Flight to Memorial Hermann. 2800 blk Lake Road – Known suspect used a deadly weapon during the commission of an assault. 800 blk Cherry Hills Drive – Unknown suspect took property without consent. 500 blk Palm Street – Unknown suspect entered vehicle and took property. 600 blk 1st Street – Unknown suspect took property without consent. 1900 blk North Park Drive – Possibly known suspect used victim’s credit card without consent. I-45 @ State Hwy 30 – Two vehicle crash with no injuries. 1200 blk 20th Street – Known suspect is harassing the victim. 5000 blk Sam Houston Avenue – Two vehicle crash with no injuries. 500 blk FM 2821 – A known juvenile was arrested for Possession of Controlled Substance and Dangerous Drugs. 200 blk I-45 N – Unknown suspect stole property. 100 blk Memorial Hospital Drive – Joshua Craft, 1-1-86, was arrested for P.I. 600 blk 9th Street – Andrew Franklin, 10-12-93, was arrested for Poss Drug Paraphernalia. 600 blk 9th Street – Cory Sheilds, 5-22-94, was arrested for POM, Tamper w/ Evidence and Retaliation. 1100 blk 8th Street – James Murphy, 9-12-66, was arrested on an out of county warrant. 2500 blk Pine Shadows Drive – Unknown suspect displayed a weapon during the commission of a theft.